Micci J. Weiss practices in the areas of Labor and Employment Law and School Law. 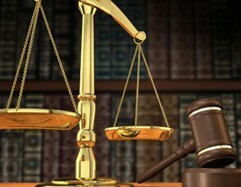 Mr. Weiss also handles business and real estate litigation matters, including breach of contract, shareholder disputes, and real estate commission disputes. He was part of a successful trial team in a corporate dissolution matter and has successfully settled several multi-million dollar litigation matters through mediation. Mr. Weiss has also appeared before various planning and zoning boards throughout New Jersey and New York. Prior to joining Cleary Giacobbe Alfieri Jacobs, LLC, in addition to litigating, Mr. Weiss was extensively involved in the representation of developers and businesses requiring federal, state, and/or local governmental approvals including obtaining site plan, subdivision, and variance approvals for commercial, industrial and residential projects.